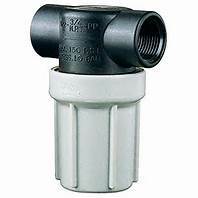 We offer Banjo T Line Strainers and Y Strainers from 1/2″ sizes up to 2″. Banjo strainers are offered with 16 mesh to 100 mesh SS screens. Specifications are listed below. Contact us with questions or for pricing. We offer Norwesco T-Line and Y-Line PP Strainers. Sizes range from 1/2″ to 3″. 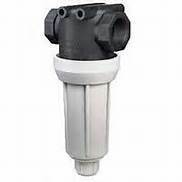 All screens for 1/2″ to 2″ strainers are 304 SS. Screens for 3″ are polypropylene. Specifications are listed below. Please contact us with questions and for pricing. Maximum pressure rating of 200 psi (14 bar). Strainer head and bowl are made of glass filled polypropylene with EPDM gasket. Screens are made of 304SS with color coded polypropylene frames and are removable for cleaning. 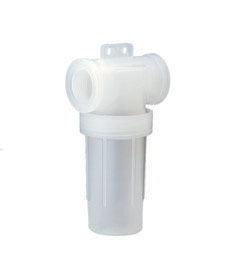 Removable cap and O-ring for flush-out or self-cleaning operations. Integral mounting provision allows the strainer to be attached to machine using M8 or 5/16″ diameter bolts. Available with 3/4″ or 1″ NPT or BSPT (F) threads and 50 series flange fitting connections for easy assembly. Uses same screen as the AA124A line strainer. 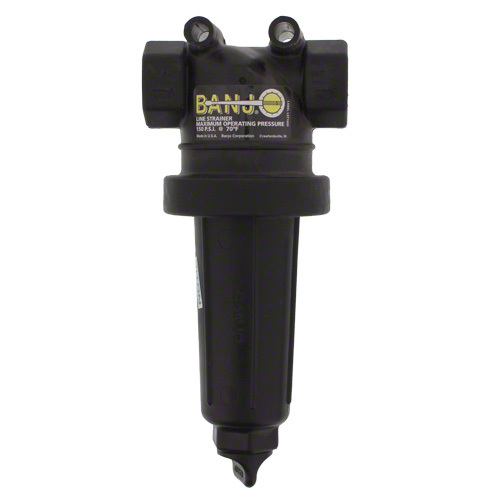 Removable cap and gasket for flush-out or self-cleaning operations. Integral mounting provision allows the strainer to be attached to machine using M10 or 3/8″ diameter bolts. Available with 1-1/2″ or 1-1/4″ NPT or BSPT (F) threads and 75 series flange fitting connections for easy assembly. 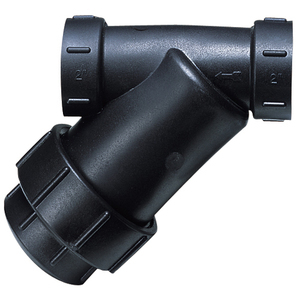 The AA122 line strainer features a compact size that is well suited for small agricultural and turf sprayers. Constructed of polypropylene head and bowl with stainless steel screen. Available connections include: 1/2″ or 3/4″ (F) pipe thread or Quick Connect. Maximum pressure rating of 150 psi (10 bar) for threaded versions and 215 psi (15 bar) for Quick Connect version. On the 37270-122-PP the screen may be periodically flushed by opening a valve (valve not included) in flush-out line.